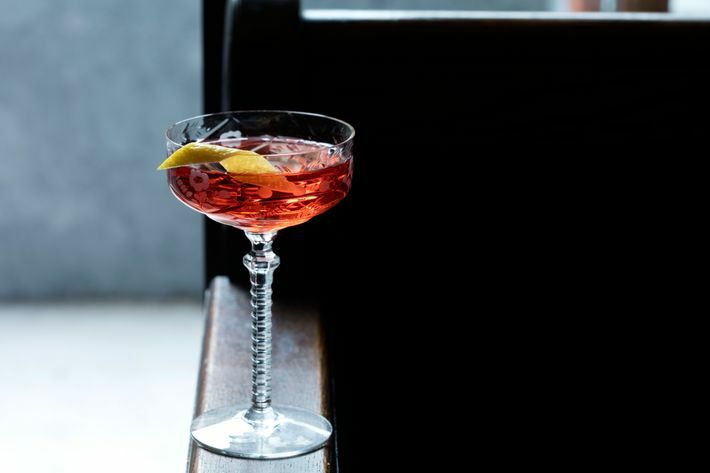 Now two decades old, the storied Japanese bar Angel’s Share is often credited as the forebear of New York City’s cocktail boom. The speakeasy-ish boîte opened in the East Village back in 1994, where it’s still going strong. Now two popular veterans of the bar, Shigefumi Kabashima and Tetsuo Hasegawa, are taking their skills uptown to Hamilton Heights. 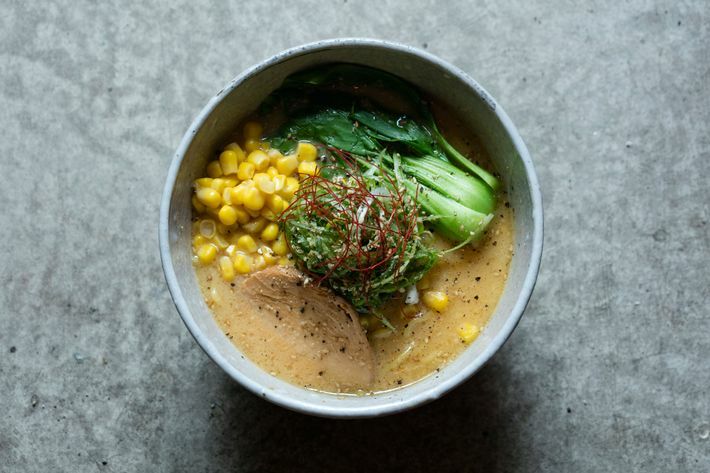 Both Kabashima (the owner) and Hasegawa have some serious experience, so it’s reasonable to expect that this new spot will be one to watch, and not just because it’s in a part of the city where a well-made Sazerac was previously very hard to find. Called ROKC (ramen, oysters, kitchen, and cocktails), the bar is located at 3452 Broadway. 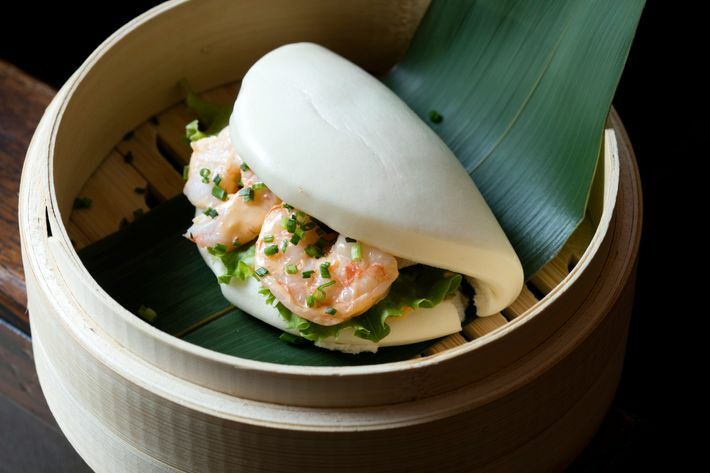 The restaurant has been in soft-open for a couple of months now, serving ramen and raw-bar standards, but the team has only now, alongside co-bartender Joji Watanabe (previously of Experimental Cocktail Club), debuted a substantial cocktail menu. The group wants to make clear, however, that this isn’t just an Angel’s Share retread. 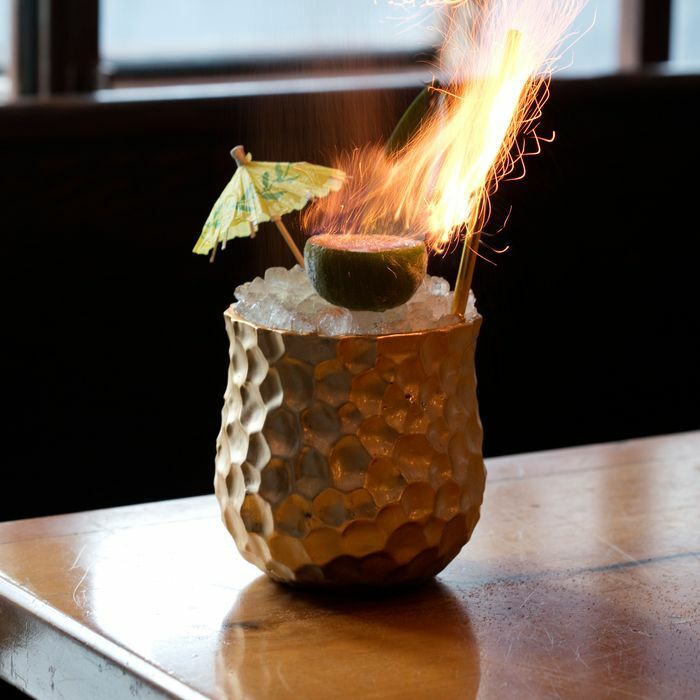 For example, a drink featuring passion-fruit rum, pineapple, and vanilla gets presented in a dimpled vessel fit for a tiki bar, topped with an umbrella and half-lime that’s torched to caramelize its sugars. 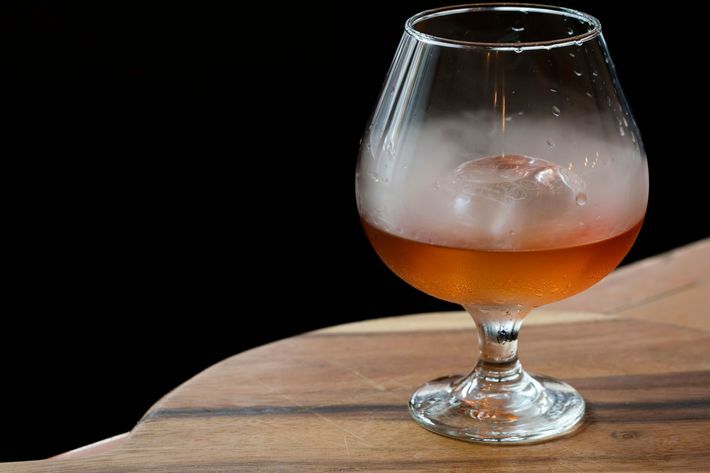 Another cocktail, fittingly called Smoke (bourbon, ancho chile, Cynar, and bitters), gets hot-boxed in a cloche, admittedly a technique also used at Angel’s Share. 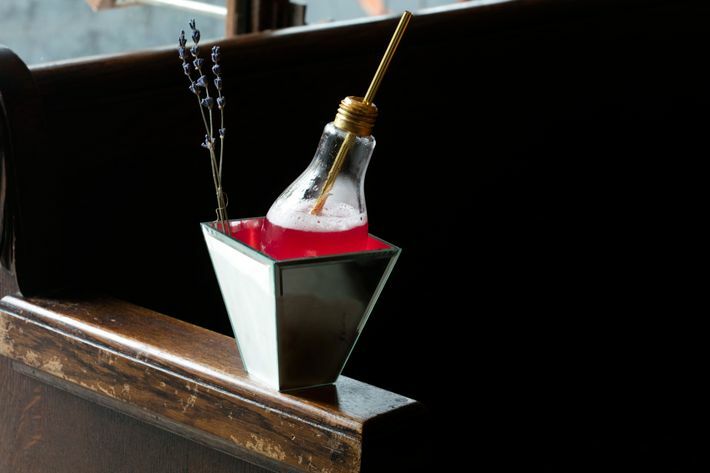 The most elegant is Flower (shochu, lavender, elderflower, and cranberry), served in a lightbulb and presented over ice in a trapezoidal pot. They’re also extending beyond the regular repertoire with a frozen drink, called Berries (Calvados, sparkling wine, strawberry, blueberry, and raspberry), and a Thai tea spiked with absinthe and cachaça; and a matcha latte fortified with Japanese whiskey, like the Japanese answer to Irish coffee. There are also plenty of classics like the Hanky Panky (gin, vermouth, and Fernet) and the Old Pal (bourbon, vermouth, and Campari). ROKC, 3452 Broadway, nr. W. 141st St.